As I was contemplating a comment that someone made on my original publishing of What’s the Evidence, who had questioned the biblical story of Jonah, I was praying to God that I needed some proof that a man could survive for three days in the belly of a whale. I was looking over the manuscript and got up to go to the kitchen to get a drink. As I turned from the sink, I looked over and noticed the radio on the shelf that I hadn’t listened to in days. I thought I would listen while I worked, so I turned it on the Christian Radio station that I sometimes listen to. I was very surprised by what I heard next. There was a talk show on that was talking about the story of Jonah, which I had just been thinking and praying about. Coincidence? I think not. God, most certainly at work, yes! As I listened to the speaker, I was utterly shocked when he mentioned a man who was actually swallowed by a whale in the late 1800’s and lived to tell about it. This was exactly the proof I needed! But I didn’t catch the man’s name right and thought he said it was Bartlett, like the pear. I researched that name and came up with nothing. Then I typed into my browser “swallowed by a whale” and found what I was looking for. A real life Jonah story! The Biblical story of Jonah came first, and then there were rumors of men being swallowed by whales from the early 19th century whaling ships. Most people find it hard to swallow that a man could possibly survive in the belly of a whale for 3 days, especially in light of the deadly passage through the 30-foot jaws and 8-inch teeth. Still, if you believe the Bible, you’d like to think it’s possible, if not miraculous. In 1947, Natural History magazine published a newly discovered letter from 1891 written by a man on the ship Star of the East that told of a crew member surviving several hours in the belly of a whale. 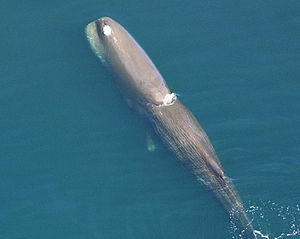 The ship was sailing near the Falkland Islands, when the crew spotted a sperm whale and began to chase it. As they neared the whale, the whale turned on the boats and attacked them. It rammed the boat, scattering the crew in the water. All were accounted for except for two men, one of them the young apprentice whaleman, by the name of James Bartley. Everyone believed Bartley and the other man drowned. But he was later cut out of the whale’s belly still alive. Some follow-up articles appeared in the years following 1947, which purported to find that Bartley’s story was fiction, a letter written by mischievous sailors to excite landlubbers. But was the story, in fact, true? The tale of the famous Quaker captain Edmund Gardner’s entanglement with a whale is another interesting story. Gardner and his crew were off the coast of Peru in 1839. They lowered the boat for a sperm whale. Gardner, as captain, was the boat header. After the whale was harpooned, he switched places with the boat steerer to kill the whale with a lance. The whale turned on the boat, and bit the bow. An article in Our Flag, a mid-19th-century publication out of New Bedford, tells the story. Apparently the captain was bitten but not completely swallowed, but his crew retrieved him, put him in the bottom of the boat, and thought he was dead. But he croaked out that he wanted to go to a doctor in Peru, where he convalesced. Edmund Gardner’s great granddaughter said that her mother remembered putting her hand in the dent in Edmund Gardner’s head when he was a very old man. In any case, if a person were swallowed, you would think they would likely be chewed up first, since Sperm whales’ teeth are 8 inches long. But, in fact, with so much giant squid in their diet, sperm whales probably do very little chewing at all. The person would more likely be gulped to the back of the mouth, and forced down. The whale’s throat expands greatly while feeding, so could easily swallow a man. Should they somehow survive, they would then enter the first stomach. It’s 7 feet long by 3 feet wide lined with thick, soft, white cuticle and shaped like a big egg. 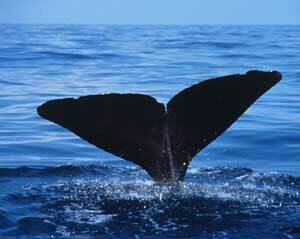 The stomach capacity of a large whale can reach 200 gallons. It would easily fit a grown man. There would likely be little air, and they’d likely suffocate in stomach acid and water, but if a whale swallows a lot of air, then it could be possible for someone to breathe for a while. Whales maintain a warm and constant body temperature of about 99°F and breathe air with lungs, so a man could stay warm and possibly get air, since a whale must resurface every hour or so to catch another breath of air. Though the letter in the Bartley story was questioned on its authenticity, there were other records of that story which help to substantiate its accuracy. The records of the British Admiralty testify that James Bartley, an apprentice seaman on a whaler, was swallowed by a whale in February, 1891, some two hundred miles east of the Falkland Islands in the South Atlantic. He survived the ordeal and lived to tell about it. It was James Bartley’s first whaling voyage and he was serving aboard the whaling ship Star of the East. The lookout spotted a huge sperm whale half a mile away and hollered ‘There she blows!’ The boats lowered into the sea and the deadly chase began between the Star of the East and the huge whale. Young James BartIey was in the first longboat to reach the whale. They crept so near that the harpooner leaned over and stabbed his spear deep into the whale. As the wounded whale sought to free itself of the harpoon, Bartley and the other oarsmen rowed frantically to get out of the way of the two-pronged tail which splashed at the water in the whale’s agony. The whale dove eight hundred feet before he ended his dive, measured by the heavy line attached to the harpoon. Then a slacking in the line signaled the whale was surfacing. Without warning there was a mighty crash which sent the longboat spinning into the air. The whale splashed about wildly, snapping at the men and the wreckage with its huge jaws before it dove again. Another longboat picked up the survivors of this encounter, but two men were missing – one of them the young apprentice, James Bartley. The wind now abandoned the Star of the East and for hours the ship sat still in the sweltering heat, waiting in gentle waves. Shortly before sunset, finally the now dead whale floated to the surface a few hundred yards from the ship. In a longboat, the crew quickly fastened a line to the whale and brought it to the ship’s side. The hot weather climate made it imperative that the whale be cut up at once before it spoiled. Having no way of raising it to the deck, the men took their knives and peeled off the blubber as they slipped and slid along the huge back of this giant mammal. Late that night, working by lantern-light, the tired crewmen removed the stomach of the whale and slowly winched it to the deck for flensing. They were startled to notice something moving inside the large sack, movement that looked like something living and breathing. The captain called the ship’s doctor who made an incision in the tough flesh. There on the deck before them was the doubled up missing sailor, James Bartley, as if he were suffering from severe stomach cramps. He was alive, but unconscious. The doctor ordered Bartley drenched with sea water, which restored his consciousness but not his reason, for he babbled incoherently. Confined to a cabin for several weeks and bound so he could not injure himself in his wild floundering, Bartley gradually regained his senses; and within a month he was able to relate what had happened to him in his horrible experience. Bartley said that as he was thrown into the water from the boat he saw a huge mouth open over him and he screamed as he was swallowed by it. He then felt sharp stabbing pains as he was swept across the teeth and then slid feet first down a slimy tube that carried him to the whale’s stomach. He could breath, but the hot, fetid odor soon made him loose consciousness and the last thing he remembers was kicking as hard as he could at the soft stomach. He lapsed into unconsciousness until he finally came to his senses almost a month later. As a result of his fifteen hours inside the whale’s stomach, Bartley lost all the hair on his body from the stomach acids and was blind for the rest of his life. His skin was bleached to an unnatural whiteness that gave the appearance of being bloodless, although he was healthy otherwise. James Bartley never made another trip to the sea and settled down to shore life as a shoe cobbler in his native city of Gloucester, England. He died eighteen years after his extraordinary survival and horrifying adventure. On his tombstone in the churchyard at Gloucester is a brief account of his experience at sea and a footnote, which says: James Bartley -1870-1909 – A Modem Jonah. So what do you think? Could a man have survived such an experience with God’s help? Read the rest of the stories in my book What’s the Evidence? This entry was posted in Bible, Book Reviews, children, Christianity, Christianity and Science, devotionals, Ministers, Parenting, Women in Ministry and tagged Christian Radio, James Bartley, Jonah, Killer whale, Specific Animals, Sperm whale, Sri Lanka, Whale. Bookmark the permalink. Reblogged this on Go Fish Ministries, Inc.